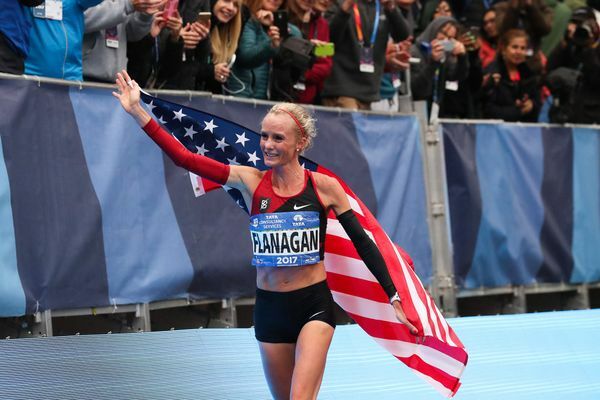 Shalane Flanagan has started her year as she ended the last – with victory. The 36-year-old took the win in an indoor 3000m race in Seattle, Washington on Sunday, her first outing of the 2018 campaign and her first race since taking a memorable victory at the New York City Marathon in November. 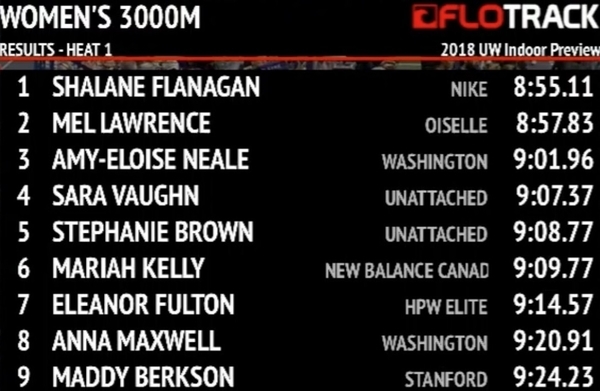 Flanagan, 36, cruised to victory in 8:55.11 over Mel Lawrence (8:57.83) and Amy Eloise-Neale (9:01.96). 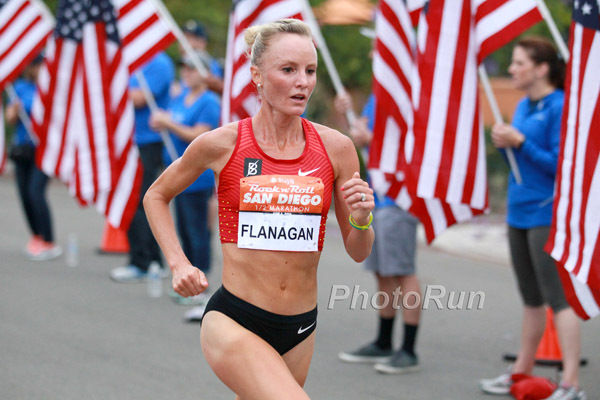 Flanagan is now ramping up her training in preparation for the Boston Marathon in April, where she will be the headline attraction in what is essentially a hometown race for her. “I definitely feel a little bit at peace in my soul having won a major. If I walked away tomorrow I feel happy as an athlete and a person, but there was still that one lingering tick of the box that I really, really wanted and I just couldn’t let that go. Less than 24 hours after her biggest moment, Shalane Flanagan was back at the scene of her triumph this morning, speaking to the media alongside the New York City Marathon in Central Park, and the 36-year-old reflected on the race, her future plans and what it all meant to her. Flanagan was also asked whether she will continue competing, but said she had not made any decision just yet. “I’ve been at this running thing for a long time at a professional level and I have other things in my life I’m interested in that I want to dedicate time to,” she said. “I think I can add to the running community in different capacities. When you’ve achieved something that’s just epic, everything you wanted and it’s so hard to top, I’m the sort of person who’s like: if it’s already been done and I can’t top it, why continue when I can maybe do something else to contribute? Her celebrations last night saw her unable to sleep, and Flanagan has made multiple appearances today on some of the nation’s biggest TV shows. Flanagan also stressed that despite it being a personal triumph, she was proud to share it with her fellow Americans. “I feel like it’s an American victory as much as mine because it’s been 40 years,” she said. Shalane Flanagan ended a 40-year drought for American women at the TCS New York City Marathon today, the 36-year-old claiming an historic victory in 2:26:53 to defeat the world’s best marathoner: Mary Keitany. 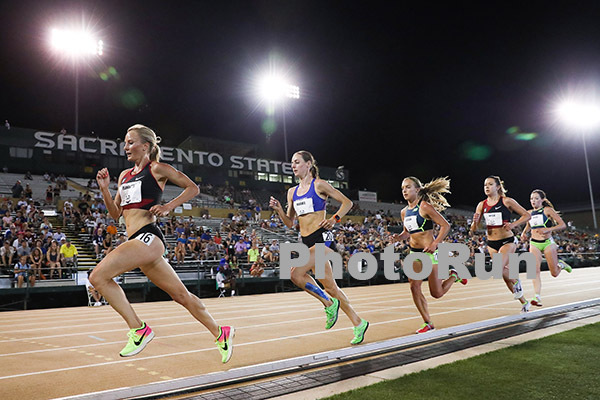 After a slow early pace, the Nike Bowerman Track Club athlete bided her time in the pack as a large group passed halfway in 1:16:18. Only in the final three miles did Flanagan make her move, surging to the front and dropping a 5:08 mile to escape from Keitany and Mamitu Daska of Ethiopia. From there she never let up, extending her advantage all the way to the finish to claim her first victory in an Abbott World Marathon Major, which proved all the sweeter after being forced to withdraw from Boston earlier this year with injury. 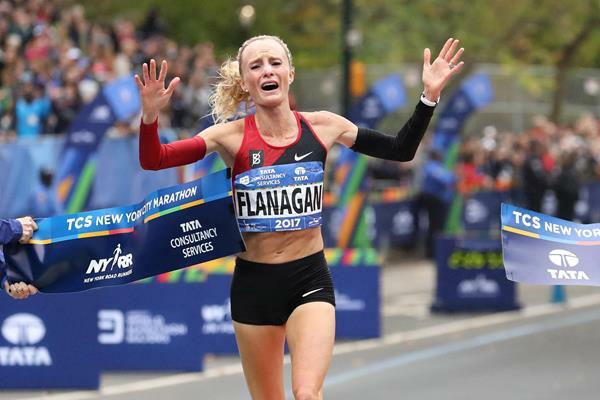 “About nine months ago I was heartbroken about not getting to race in Boston and it hurt quite a bit,” said Flanagan, “but I kept telling myself there’d be delayed gratification and a moment down the road that made up for it. 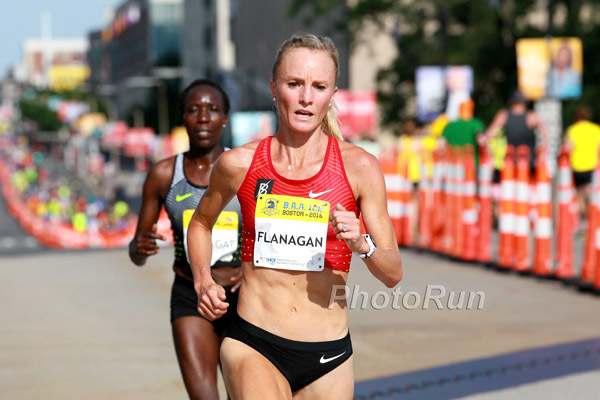 With a little over three weeks to go until the TCS New York City Marathon, Shalane Flanagan says she is feeling “better than I have in a long time” as she prepares for her first marathon of 2017. The 36-year-old, a member of the Nike Bowerman Track Club, spoke with reporters on a conference call alongside Meb Keflezighi today and said that the injury problems which derailed her bid for the Boston Marathon earlier this year are now thankfully behind her. For the past several weeks she has been training at Mammoth Lakes in California, and though the marathon always brings a sense of uncertainty about racing shape, Flanagan impressed on her most recent outing, clocking 31:15 for the Beach to Beacon 10K in early August. In New York she will seek her first victory in a Marathon Major, and she will have to defeat Kenyans Mary Keitany and Edna Kiplagat to do so. For more, check out this story by Jonathan Gault of Letsrun.com and this story by Erin Strout of Runner’s World.